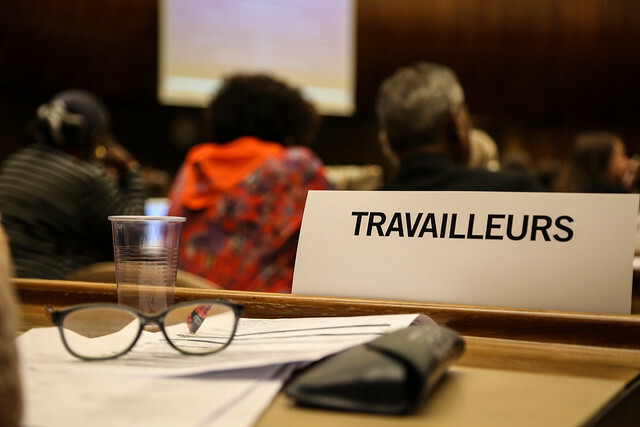 After several days of meetings, leaders and representatives of domestic workers at the global level begin the Conference and spend the day participating in the Committee for the Establishment of Standards, debating and giving their opinion to the document of Proposed Conclusions, which is the basis for the debate on the ILC in this 107th session. Domestic workers, working together with other key sectors of the informal economy such as street vendors, home-based workers and waste pickers represented in the WIEGO network (StreetNet International, HomeNet and Southeast Asia and the Global Alliance of Waste Pickers) enrich the document based on their own experience and the work experiences of millions of workers who live and work in the informal economy. 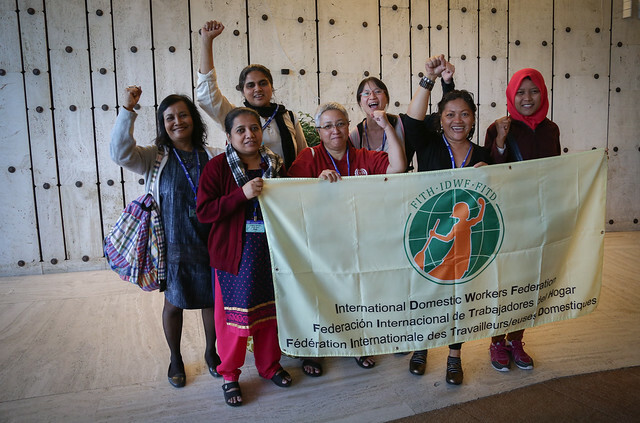 Tomorrow, May 29, it will be the first day of negotiations and domestic workers are ready to fight for an instrument that gives them the voice and freedom they deserve. "Who are we in the world of work? 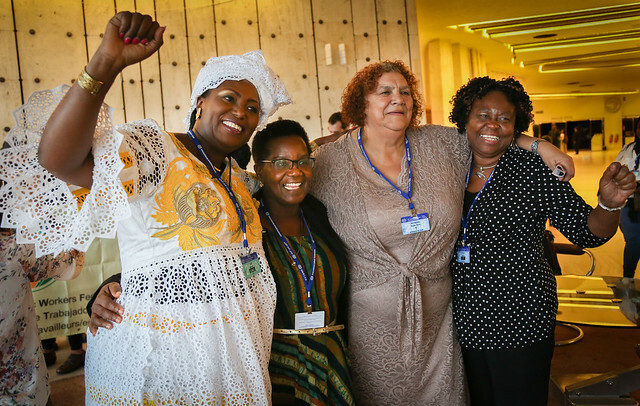 We are domestic workers. We work behind closed doors and high walls. Oftenly we get abused daily, we have nowhere to run because we have no protection and we have no rights, we even have no identity. For us, a Convention with strong Recommendation will give us HOPE, will give us EXPERIENCE that we can get up so we can speak up. 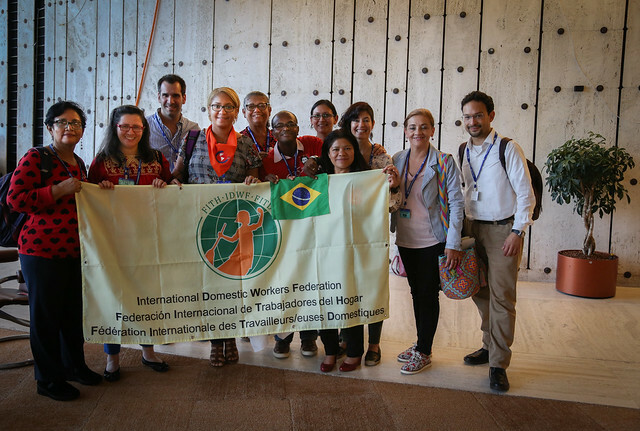 Because today if domestic workers speak up at their workplaces they often lose their jobs and they lose hope for their families. We always have to stay silenced.